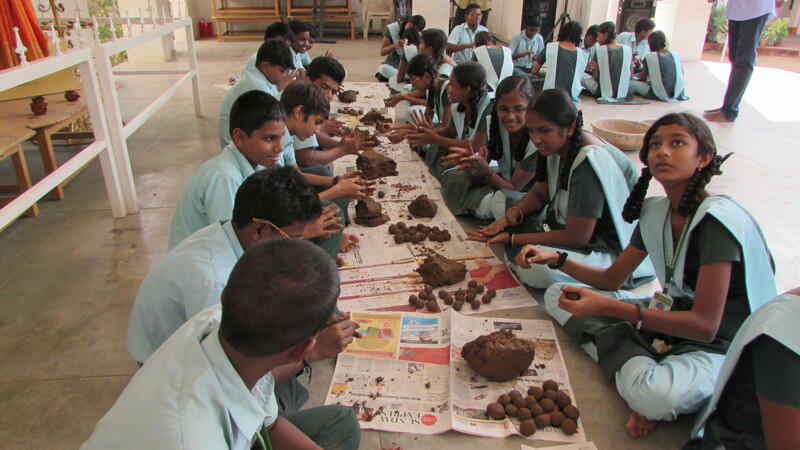 Members of our School Green belt movement – “Pasumai Bharatam” – had the idea of organizing a ‘Seed Ball Embedding’ project. Seed balls are spheres of red clay, soil or compost, mixed with native plant seeds. Barren spaces can be made more beautiful simply by tossing Seed Balls on the ground! The seed will spread and start to grow after being watered and broken down naturally. Often referred to as “seed bombs,” people have been using this technique for centuries to seed crops. We thought a suitable day to execute our project would be December 10, the birthday of our beloved Principal. 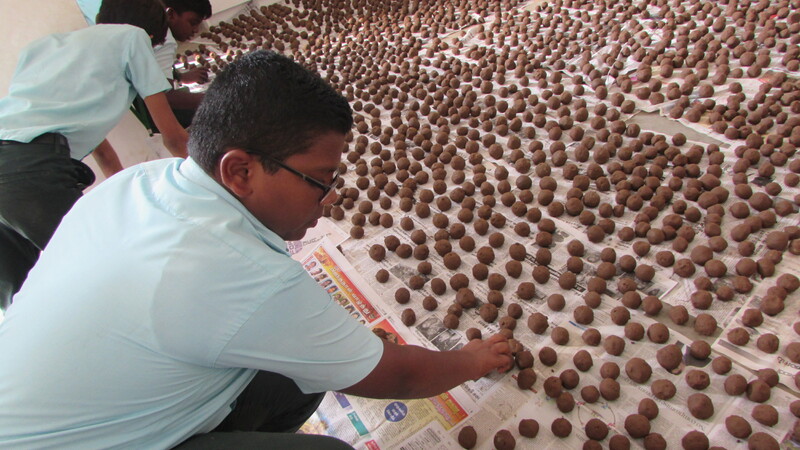 Our students worked tirelessly to make the organic seed balls and made nearly 4000. 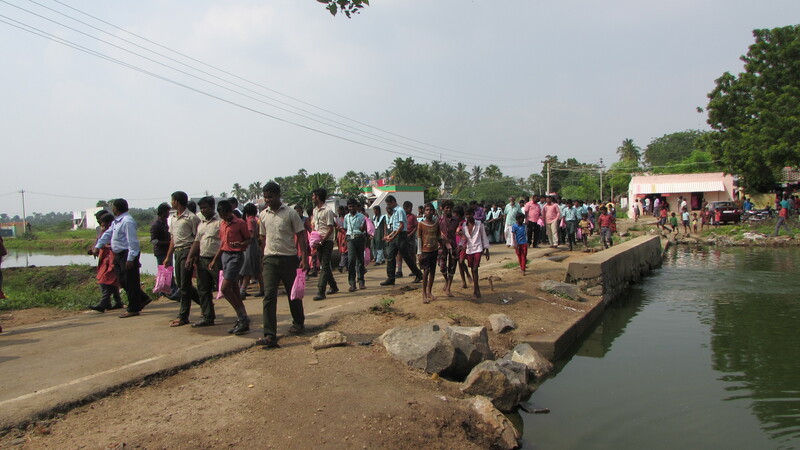 After a formal inaugural function in the school conference hall, the school Interact club members together with students, staff, our Principal, Vice Principal and Correspondent went in a school bus to nearby areas and embedded the seed balls by throwing them along lake beds. We are very proud to say that we are the first in this district to initiate this programme. We hope to see the fruits of our labour in years to come.